Item number 705/51 from the MOA: University of British Columbia. Small, rectangular shaped beaded pubic apron with twisted fibre edging and ties along with a braided metal fringe. 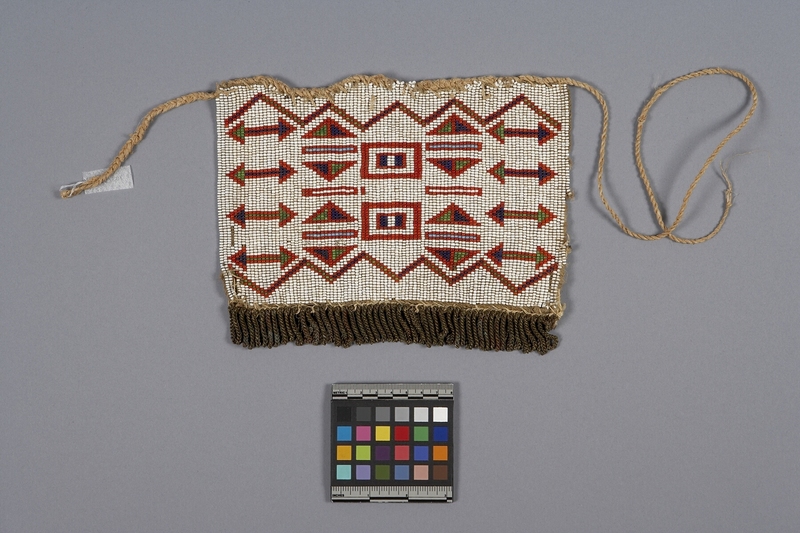 The design on the apron consists of small red, green, navy and blue beads in a geometric pattern of squares, arrows, rectangles and zigzags on a beaded white background.